Located in Far North Queensland, Port Douglas is the perfect place to base yourself for exploring the Reef and Rainforest Coast. Although known as a popular holiday destination for its beautiful, relaxing coastal location and easy access to spectacular natural environment, Port Douglas also exudes a certain animal attraction that keeps visitors coming back year after year. Port Douglas attractions are many including historic, natured-based and activity-based options, however some of the most popular attractions revolve around the local wildlife. As the closest mainland town to the World Heritage listed Great Barrier Reef, Port Douglas is a popular launch point for a variety of boat, snorkelling and scuba diving tours of the world famous Great Barrier Reef, where the colourful corals and tropical marine life offer an insight into one of the most delicate ecosystems in the world. If you prefer to stay on dry land, the Rainforest Habitat Wildlife Sanctuary offers the unique opportunity of experiencing four different environments in one day. Home to more than 180 species of insects and animals, the Sanctuary recreates grassland, woodland, wetland and rainforest environments and even offers the incredible Breakfast with the Birds experience, for keen nature lovers. 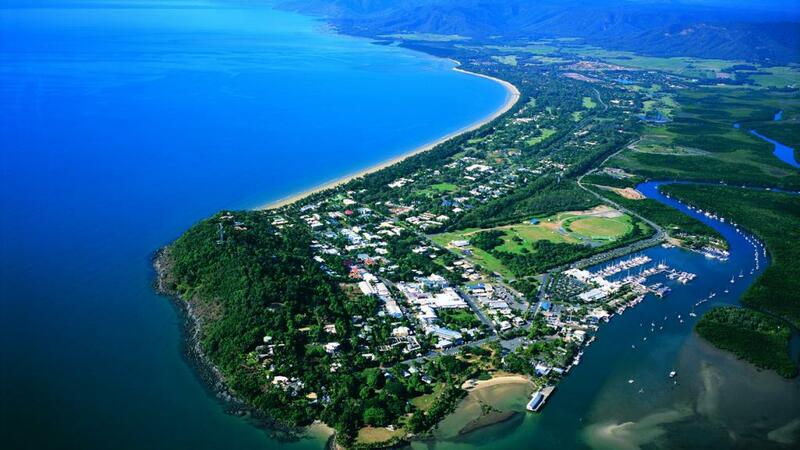 However if animals aren't your thing, there's still plenty to enjoy in Port Douglas, including the famous Four Mile Beach and nearby Flagstaff Hill. History buffs will love Saint Mary's by the Sea, an historic church that was the only one in Port Douglas until 1986. Although now a popular wedding venue, the beautiful old church is well worth a look and the huge picture window behind the altar offers a stunning view of the Coral Sea and mountains. Shoppers are also taken care of with the Cotters Market, from 8am to 1.30pm every Sunday morning in Anzac Park. For something a little more upmarket, try the Reef Marina, perfect for a leisurely day spent shopping and lunching while enjoying excellent views over the Mossman Ranges and Dickson's Inlet. However if you want to get physical, there are a number of world class golf courses in Port Douglas as well as some excellent kitesurfing, particularly from June to August.